Hello, hello! Are you looking for a fun guest book your friends and family will want to sign? Do you want your guest book to actually become a work of art to display in your love nest, rather than sitting on a shelf gathering dust? Today’s post is for you! We spotted this incredible guest book fingerprint tree by The Ink Lab and it is one of our favorite guest book alternatives yet. Instead of signing a line in a book, guests have the opportunity to add their unique fingerprint onto a branch of a tree to create a leaf. Once the ink is dry, the guest signs his or her name above the fingerprint. 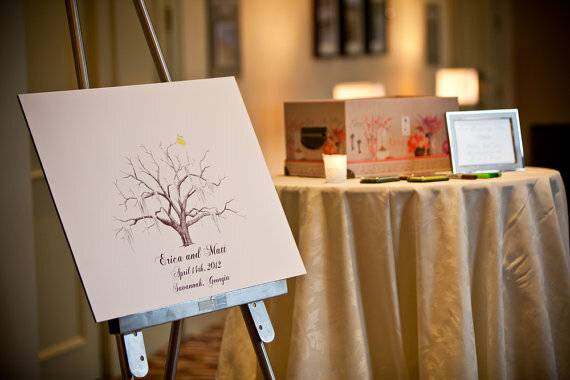 The print features a blank tree to begin, but soon after guests start adding their prints you’ll see the tree come to life with bright and vibrant leaf prints created by guests. 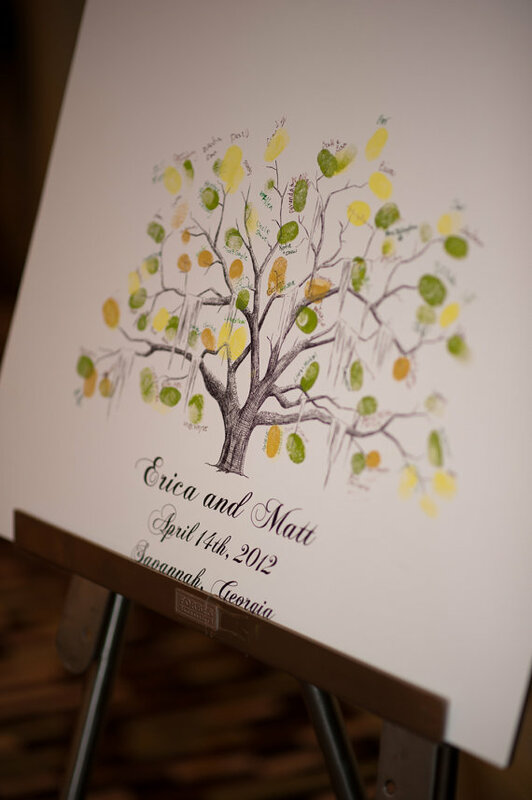 After the wedding, frame your guest book fingerprint tree and display in your home. 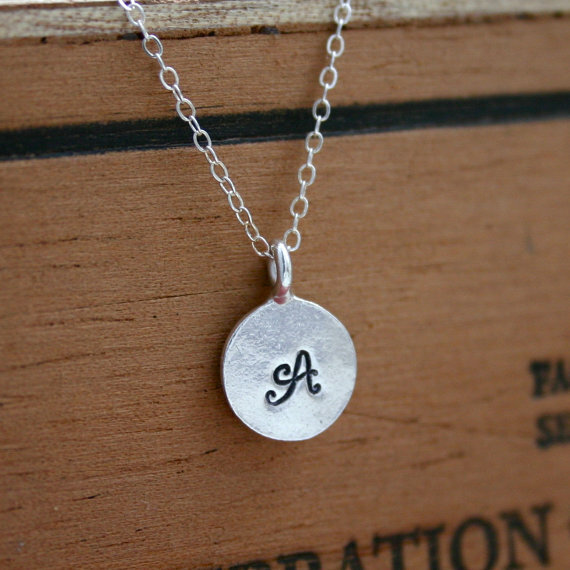 What a beautiful idea (+ an awesome keepsake). This tree is printed with the finest archival inks which means it will not fade with age. Trees can be ordered in various sizes, such as small (to accommodate 35-60 fingerprints) or large (to accommodate roughly 175 prints). 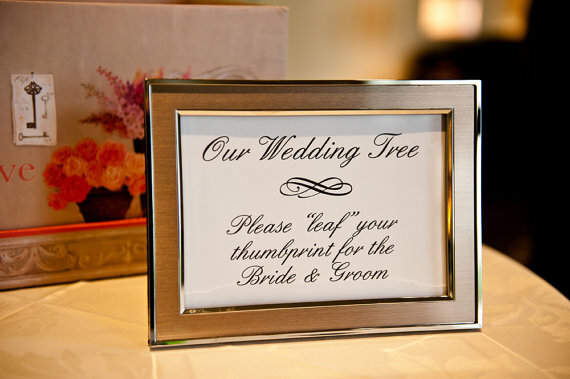 The fingerprint tree arrives mounted on sturdy thick black foam core, so it won’t wrinkle, bend, or become a hassle when trying to display it a your wedding. To display the fingerprint tree, simply place on an easel. 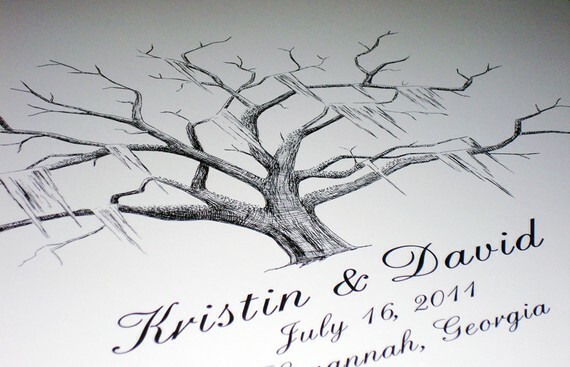 Your name, wedding date, and location are included in the print. 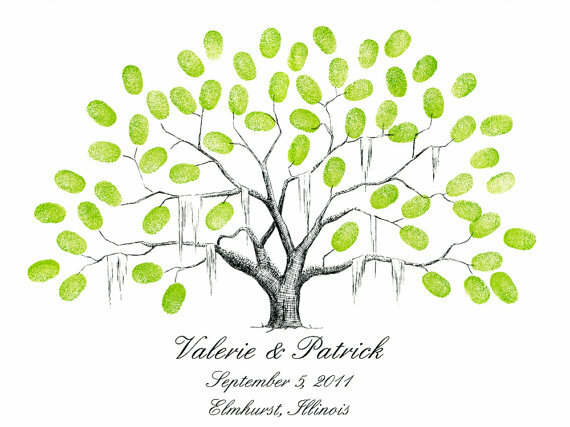 You can also add custom details (for an additional cost) such as custom font type, add moss, or add a pair of lovebirds on a branch. Just ask! Want to see more? Ready to place an order? 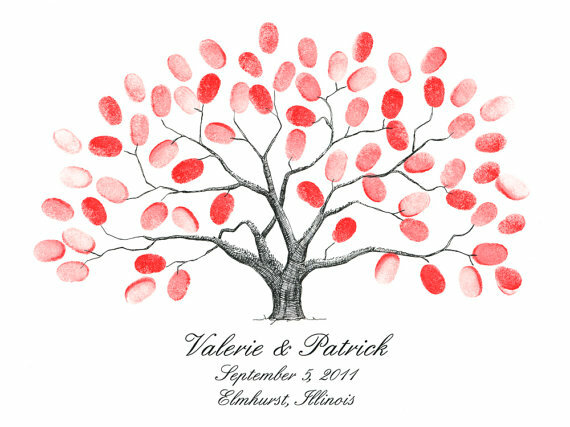 Get your custom guest book fingerprint tree at The Ink Lab, Featured Artisan in The Marketplace. 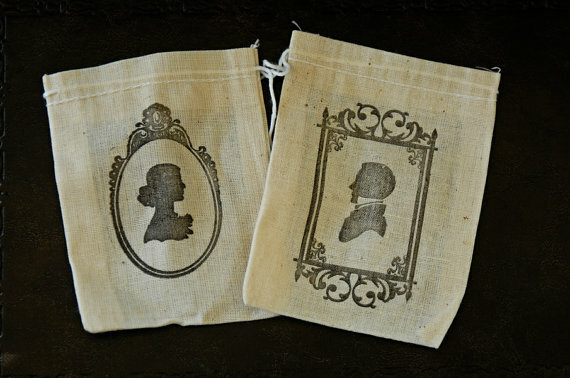 Also be sure to check out Heather’s unique artwork in her other shop, FLYoung Studio. She’s amazingly talented. 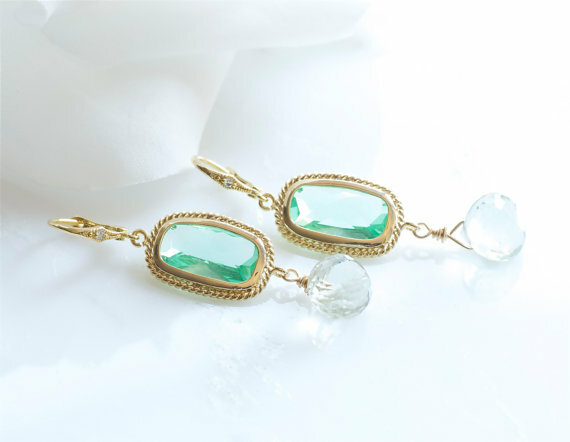 The Ink Lab is a Featured Artisan (advertiser) in The Marketplace. Do we wholeheartedly love + appreciate her work? Absolutely.